This you will hear me say again and again: I’m not the girliest of girls. At least this is the conclusion I have drawn after having spent significant time with some very girly girls. Recently, however, I started doing something rather girly. I started painting my nails regularly. And what I have found is that if you are short on cash and can’t afford a trip to the mall, a trip to your nearest beauty supply store for a new fabulous nail polish will usually do the trick. Admittedly, nail polish is not the same as a new pair of shoes, but it is a great way to add something fresh to your look, and (possibly true fact) you may actually end up wearing it more than a new pair of shoes. 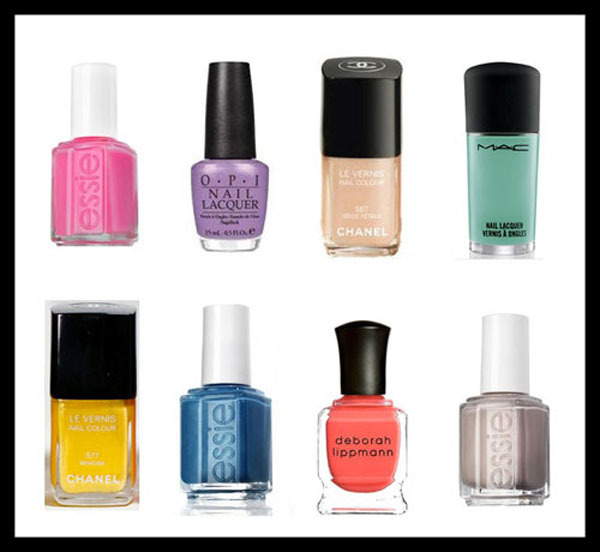 Here are some of the colors I am loving for spring.